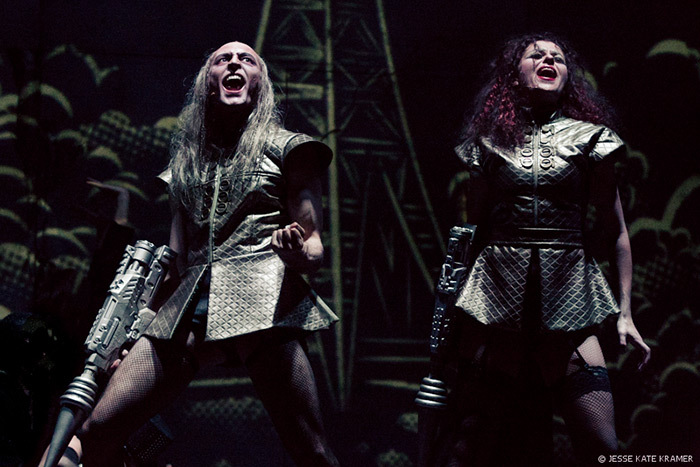 Since opening in July 2013, The Fugard Theatre's production of Richard O’Brien’s iconic rock musical The Rocky Horror Show has been playing to SOLD OUT houses for 49 weeks and has been seen by more than 120 000 people! The multi-award-winning production, produced by Eric Abraham and The Fugard Theatre, has received massive critical acclaim and has been thrilling audiences night after night in Cape Town and Joburg. 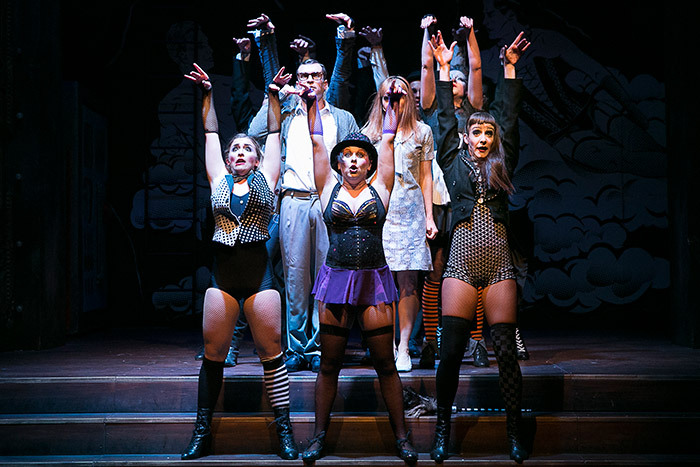 The Rocky Horror Show, which has travelled the world since making its humble debut at the Royal Court Theatre in London in 1973 – celebrated its 40th Anniversary in 2013, and continues to sell out theatres around the globe. Outrageous when it first burst onto the London scene forty years ago The Rocky Horror Show retains its power to thrill, entertain and provoke audiences globally. 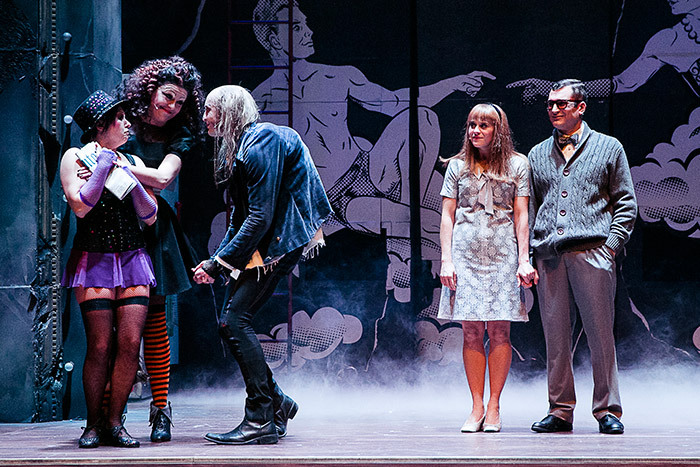 The Rocky Horror Show tells the story of a newly engaged couple, Brad and Janet, getting caught in a storm and seeking refuge at the home of a madcap transvestite scientist, Dr. Frank-N-Furter, who unveils his latest creation - a muscle man named Rocky Horror. There they meet some of the strangest people on the planet. This saucy, racy musical features hits like “Science Fiction/Double Feature”, “Dammit, Janet!”, “Sweet Transvestite” and the infamous “The Time Warp” and “Touch-a, Touch-a, Touch-a, Touch Me”. 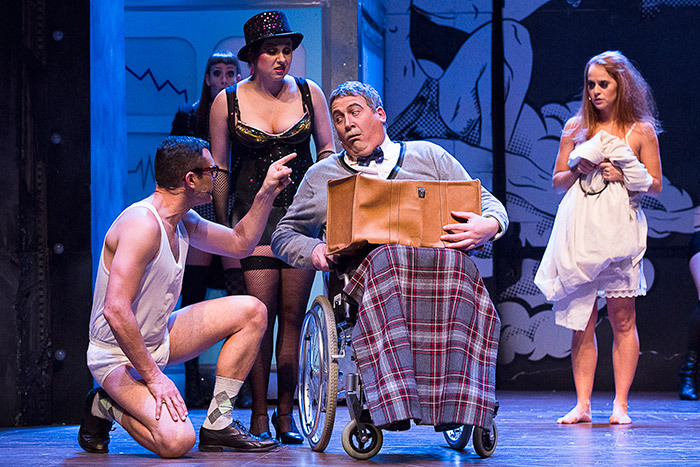 The Fugard Theatre’s Production was nominated for a staggering 9 Fleur du Cap Theatre Awards in 2014 with Brendan Van Rhyn as Dr Frank-N-Furter (Best Actor in a Musical), Andrew Laubscher as Riff Raff (Best Supporting Actor in a Musical) and Daneel van der Walt as Magenta (Best Supporting Actress in a Musical) winning the prestigious awards! 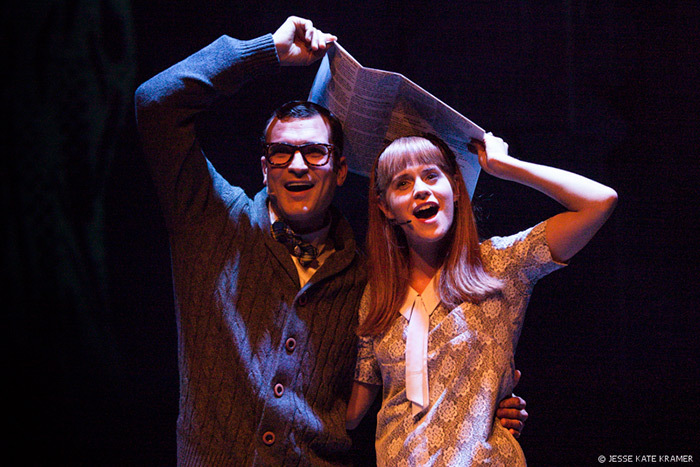 The Production features a stunning all South African cast which includes Paul du Toit (2014 Fleur du Cap Nominee for his role of Brad) (Binnelanders, Backstage, Semi Soet, Liefling) and Daniel Buys (Jersey Boys) as Brad, Jenny Stead (Cardenio, Champ, The Secret Love Life of Ophelia) as Janet for the Cape Town season (2014 Fleur du Cap Nominee for her role of Janet), Sharon Spiegel-Wagner (From the Mouths of Babes, MacBeth, Grease, Hairspray, Let there be Rock!) 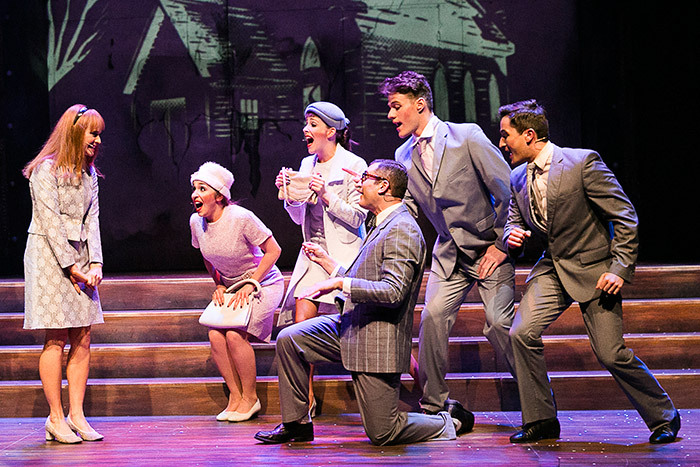 as Janet for the Johannesburg season, Pierre Van Heerden (The Lion King, Chicago, Cats, Grease) as Dr. Scott & Eddie, Dominique Maher (The Adventures of Sam Swallow, Denim to Diamonds) as Columbia (2014 Fleur du Cap Nominee for her role of Columbia), Shaun Smit as Rocky and Adrian Galley (The Deal, Cardenio, Villa Sofia, Tonight Neither Hamlet, King Lear, Not the Midnight Mass, The Circus Sideshow) as The Narrator (2014 Fleur du Cap Nominee for his role of the Narrator). Zolani Shangase, Emile Doubell, Taryn-lee Hudson, Ashleigh Butcher and Chloe Perling are the fabulous ensemble and understudy cast. The production is directed by Fleur Du Cap Best Director Nominee Matthew Wild (Comedy of Errors, Cosi fan Tutte, Il Viaggio a Reims, Dalliances, The Rake’s Progress). Designers on the production are Tina Driedijk (Suor Angelica, The Rake’s Progress, Cosi fan Tutte, Yeomen of the Guard), Daniel Galloway (Kat & the Kings, Kramer Petersen Songbook) and Penny Simpson (Evita, Fiddler on the Roof , Man of La Mancha, Magic Flute), both Daniel and Penny received 2014 Fleur du Cap Nominations for their designs on Rocky Horror. Musical Supervision and Direction is by Charl-Johan Lingenfelder (Dirty Dancing, Jesus Christ Superstar, Hair, Hairspray, Chess, High School Musical, Grease, Evita) who will be assisted by Kate Borthwick (Jersey Boys). Choreography is by Louisa Talbot (Resident Choreographer We Will Rock You, High School Musical, soloist for The Cape Dance Company and Bovim Ballet). Steven van Wyk is the Resident Director. 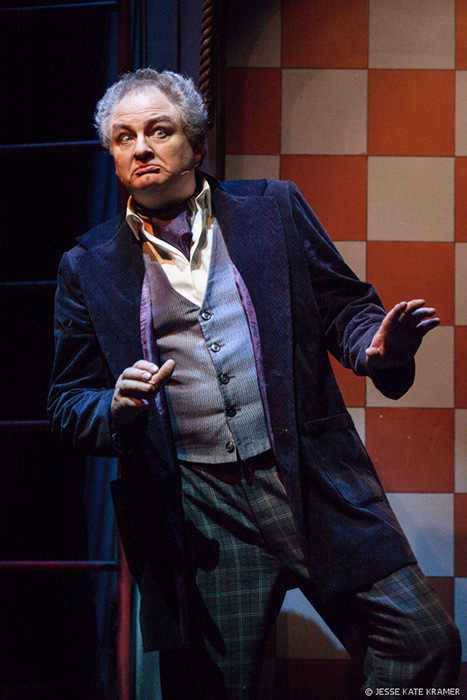 Audiences are most welcome to dress up on any night to enhance their enjoyment of this musical romp. And to round off the experience - audience participation packs will be available at each performance – so there is no need to bring any of your own props along as The Narrator will strictly control the action. 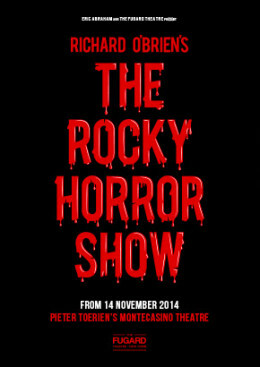 The Rocky Horror Show returns to Joburg from 14 November 2014 – 1 February 2015. Performances at Montecasino run Tuesday to Fridays at 8pm, on Saturdays at 4pm and 8pm and on Sundays at 2pm & 6pm. Tickets, ranging from R100 to R375, are available through Computicket or the Montecasino box office on 011 511 1818. Call the box office for details of corporate hospitality packages. The production is not suitable for children younger than 16. 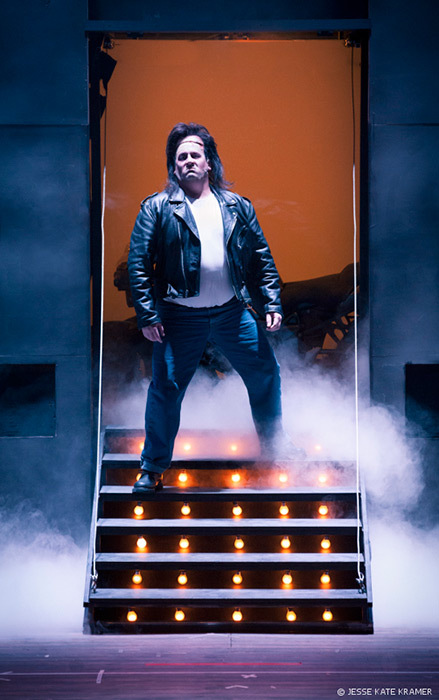 Extensive strobe lighting is used in the production.